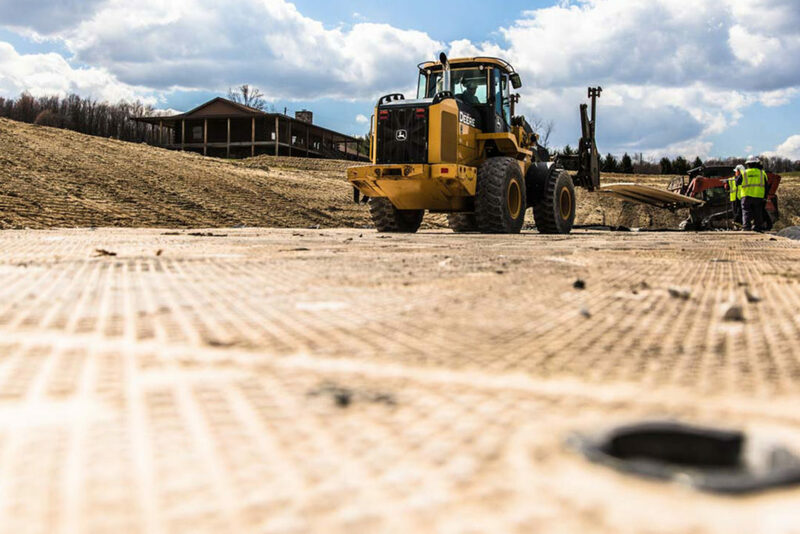 Mustang Extreme Environmental Services supplies all-weather, long-lasting composite mat rentals to serve many purposes, including support for construction operations, ground protection, temporary roadways, temporary flooring, and drilling equipment stabilization. 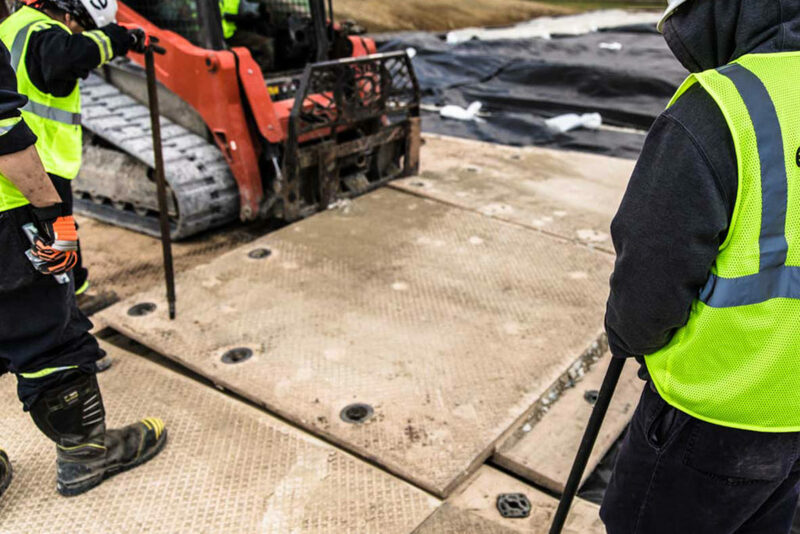 Our composite mats can be placed on top of environmental lining to provide both stabilization and protection. 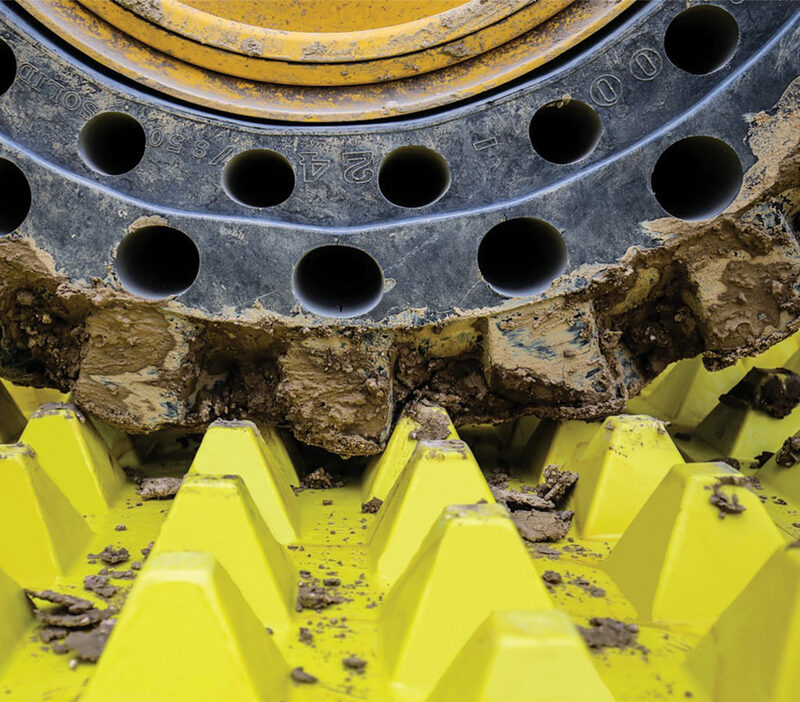 The lightweight ribbed interior structure provides tremendous weight-bearing capacity minimizing ground disturbance from heavy truckloads and equipment. 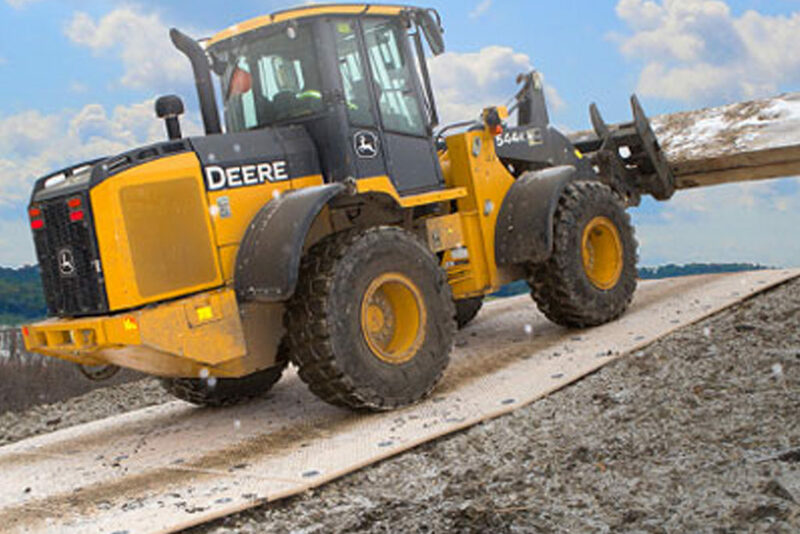 MegaDeck HD composite mats have a weight-bearing capacity of up to 600 psi / 86,400 lbs. per sq. 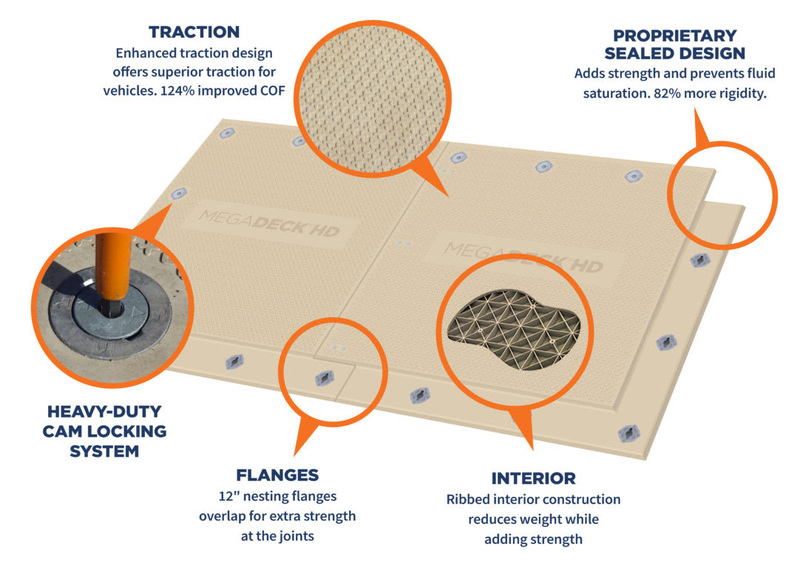 ft.
MegaDeck HD composite materials are inert, providing a non-conductive safe working platform. MegaDeck HD’s cross-ribbed interior distributes weight across the entire panel. These mats are not intended for bridging. 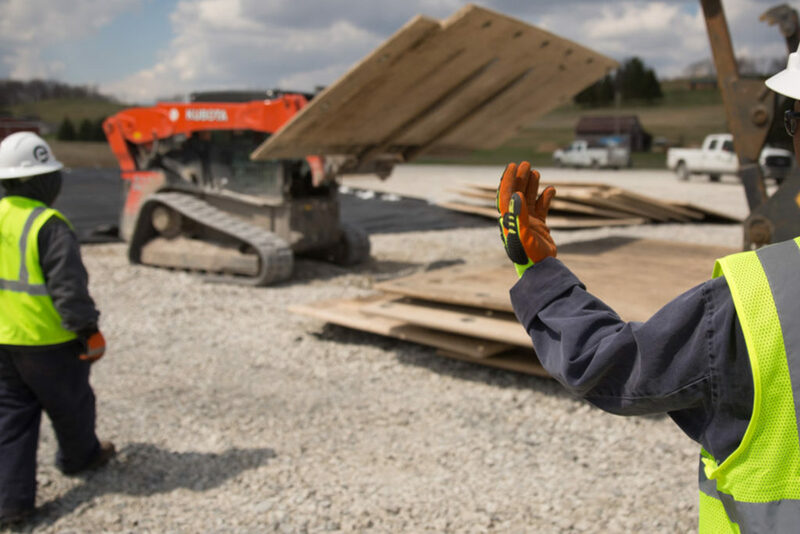 Composite mats do not splinter and decompose in use, so no expensive job site cleanup costs are needed. Each MegaDeck HD mat is marked with a unique serial number, making inventory control easier. RFID chips are incorporated into the core of every mat during the manufacturing process for fast, efficient scanning. 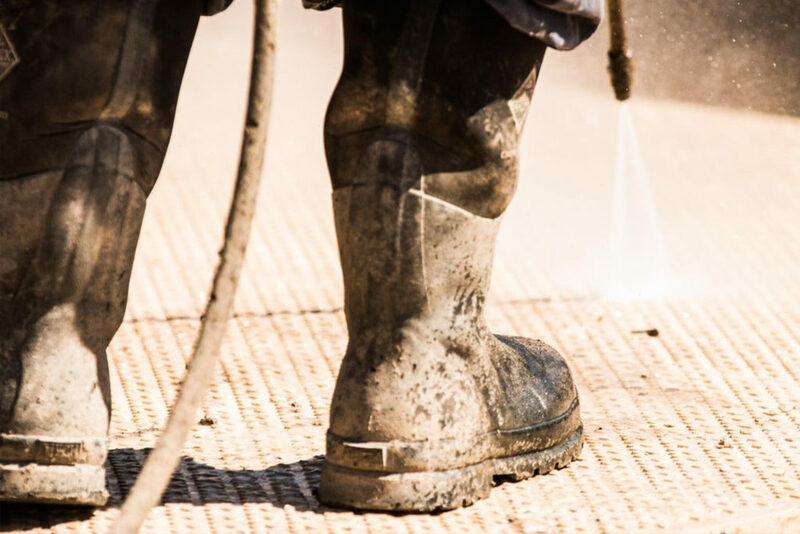 MegaDeck HD mats can be cleaned using a high-powered pressure washer. Most commercial cleaning agents will not damage the surface, but consideration should be given to environmental concerns. Unlike wood mats, our mat retains its proportion across its useful life. 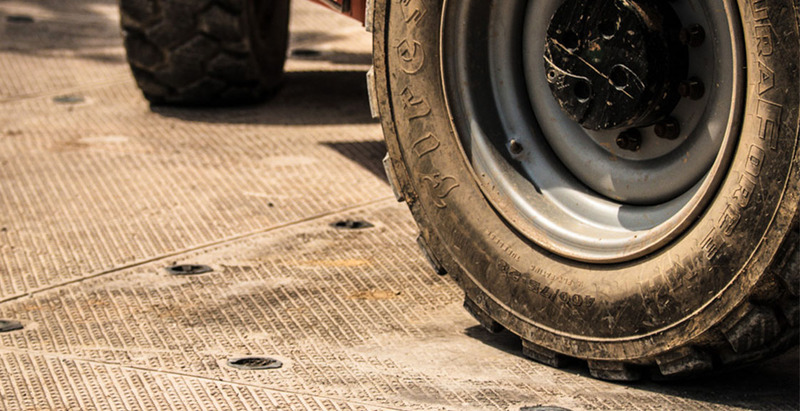 Supporting loads up to 80 tons, LibertyMat® is the ultimate heavy-duty mat for temporary roadways and work areas. 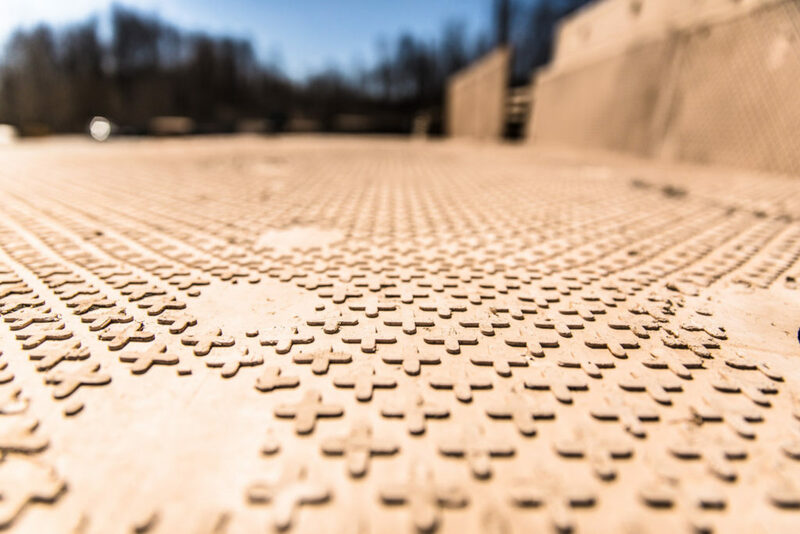 LibertyMat® is essential for the construction, civil engineering, and groundwork industries. 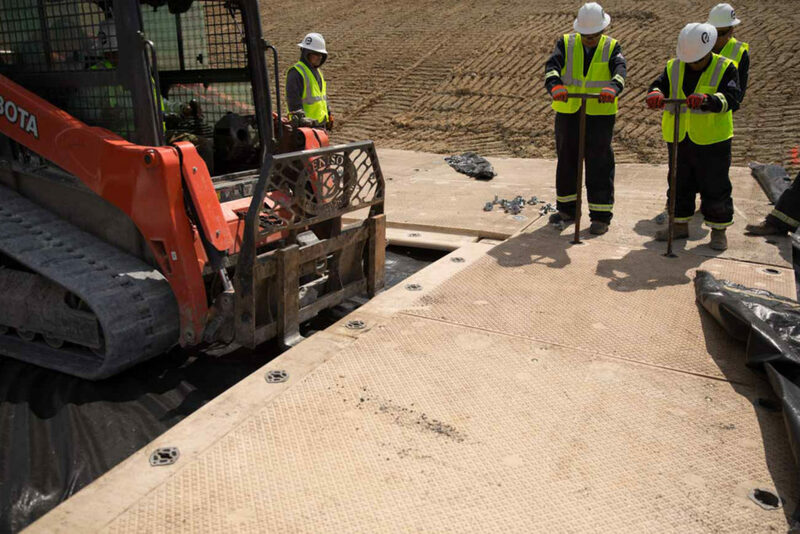 Made from virgin High Density Polyethylene, LibertyMat® is the market leader for temporary access and ground protection over soft or sensitive ground. LibertyMat® significantly reduces damage to heritage and eco-sensitive areas, avoiding the need for reinstatement once the project is complete. 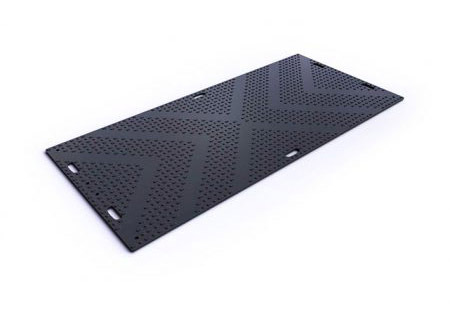 Weighing just 77 lbs (35 kg), LibertyMat® is ideal for both short- and long-term projects. 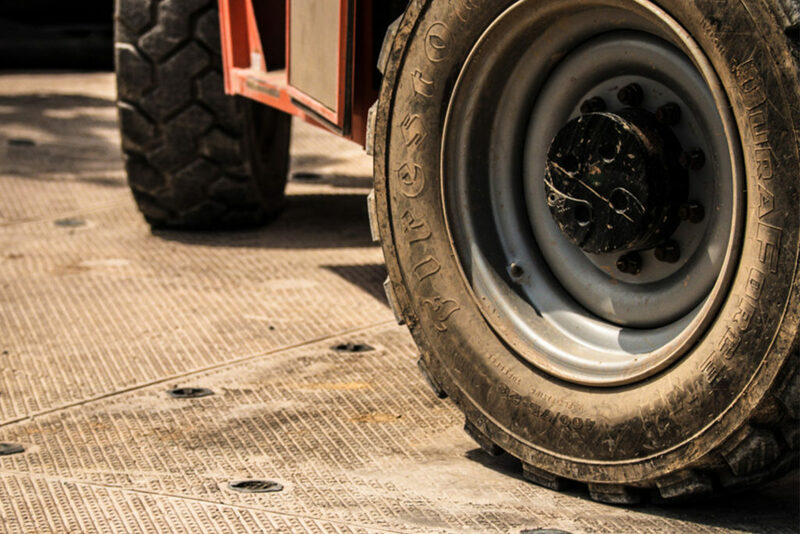 FODS are an innovative new matting system designed to more effectively remove debris from vehicle tires than standard solutions such as rocks, shakers and steel plates. 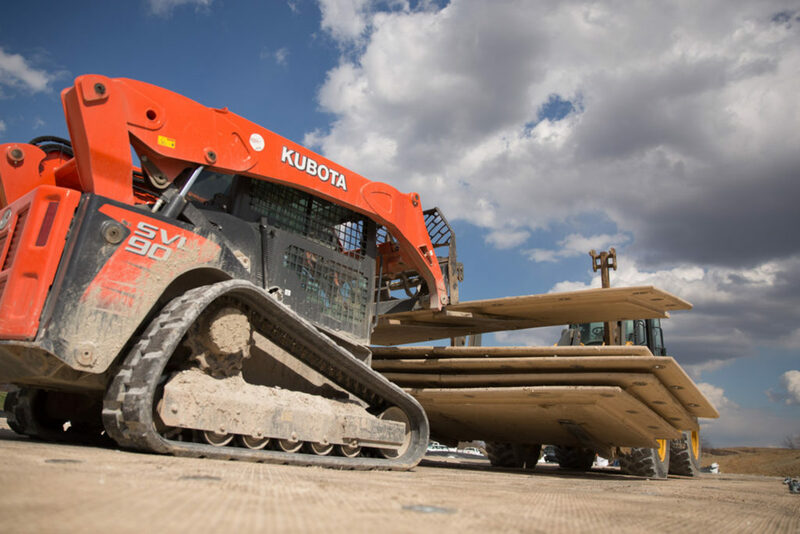 FODS help eliminate the tracking of mud and sediments outside of work sites. Their construction from high strength material also mitigates ground disturbance during usage which helps resist soil erosion. 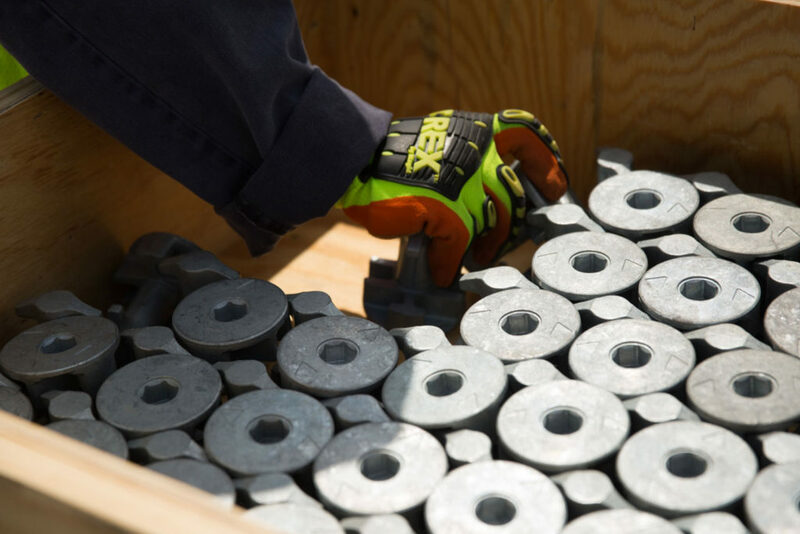 They are easily cleaned via washing or sweeping so they will not transport contaminates between sites. Most standard entrances will save up to three dump trucks worth of rock on initial install by utilizing FODS. 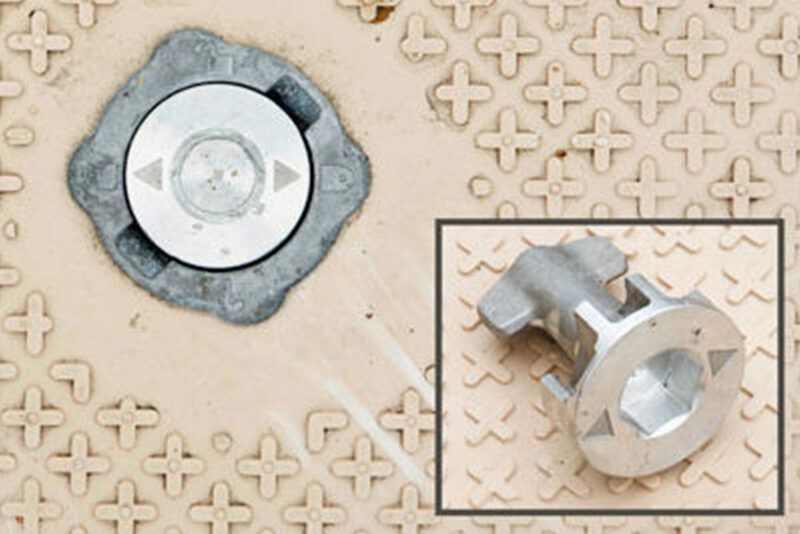 This makes them ideal for construction, airports, government, military, oil and gas, roads and bridges, renewable energy, telecommunications, national parks, storm water, pipeline, utilities, mining, agriculture and more. 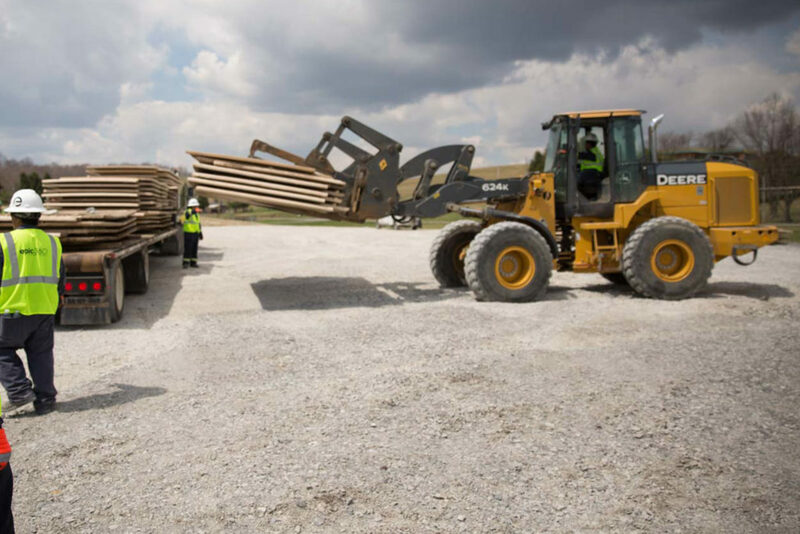 FODS are 100% recyclable, made in the USA and can be reused for many years.